Byron Katie & the Moon with Mars: Do You Want to Fix & Improve Your Partner? Do you want to fix and improve your partner? Does your partner try to fix and improve you? Do you and your partner argue a lot, do you feel pushed around in your relationship? If any of these things apply to you, then the video I just uploaded on the work of Byron Katie is for you. Byron Katie has Mars with her Moon in Scorpio and she misused her Mars terribly before she had her awakening experience. After her awakening, she developed a meditative process called ‘The Work.’ The Work consists of four questions you ask yourself whenever you are in mental or emotional distress. Byron Katie’s work can restore peace to your love life if you tend to want to fix and improve your partner. Mars in relationship compatibility is our degree of ‘assertive pressure.’ Assertive pressure is how assertive you are in love, whether you can ask for what you want, say no to what you don’t want, and your ability to compromise. The Compatibility Report (see link below in the yellow Special Offer box) measures the amount of assertive pressure each person has. If one person is much more assertive than the other, this causes an imbalance and discontent over time. 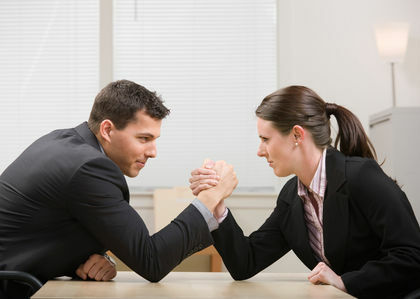 If both people have an equal, or close to equal, amount of assertive pressure, then the relationship can run smoothly. Do you feel pushed around or that you don’t have a voice in your relationship? If so, you may have less assertive pressure than your partner. If your partner seems to be less involved in the relationship and doesn’t tell you how they feel, then your partner could have less assertive pressure than you. Mars is the natural planet of divorce, so understanding your Mars and how you express Mars could save your relationship! To find out if you and your partner have an equal or unequal, amount of assertive pressure, get the Compatibility Report or the Ready for Love Consultation with me. I’m offering a FREE Relationship Capacity Report and FREE Compatibility Report with the Ready-for-Love Consultation. Normally, they are $14.95 each, so you save $29.90. Find out everything you need to know to make the most of your love life and attract your life partner with the Ready-for-Love Consultation. It is only $159 if you come to the consultation alone, and $209 if you come to the consultation with your partner. You can be straight, gay, or lesbian, the stars work for everyone. The reading is 90 minutes long and you get a recording as well as the relationship reports mentioned above. The transcript of the video is below the video if you prefer to read it instead. 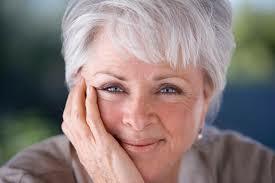 Hi, this is Karen White of Divine Time Astrology and this video is about Byron Katie. I’ll show you how her process, called The Work, shows up in her birth chart. If you have the moon with or aspected by Mars, or if Mars is your Atmakaraka, your ‘self-producer’ planet, your essence planet, the work of Byron Katie is especially helpful to you. Several clients that I’ve recommended her work to have written to tell me how much her work has helped them in their relationships. I’ve been listening and watching her videos on youtube today, probably because Mars is in the sign of Aries now and is transiting through my fourth house of emotional happiness. She’s fun to watch, especially when she works with people on their relationships. I’ve put some links below this video of one of her relationship video playlists. I don’t have her birth time but that’s okay because I’m just going to work with her Atmakaraka planet and the planets with and aspecting it. That is all we need to see who she is, her essence, and why the work she brings to the world is what it is. So here we see here the moon is the Atmakaraka planet and she has it here with Mars in the sign of Scorpio. Mars is in his own sign here. Now the Moon speaks sweet words of encouragement and you can hear her do that throughout every session that she has with someone. The moon is also the ego, the mind, and the imagination. She constantly refers to the mind, our thoughts, and the ego. The unquestioned thoughts we think, create a ‘movie’ that we’re watching and it’s not based on in reality most of the time. Attachment to our ideas and thoughts about how things and people should, or shouldn’t be, is the cause of anger and suffering. If you read about her story or you watch her talk about her story, she suffered greatly and the people around her did too, before she learned to question what she was thinking, and the truth of what she was thinking. Now Mars is a planet that can be very aggressive and and and full of anger and that’s the way she was. She bullied her husband into getting what she wanted the way she wanted it. She basically was a rageaholic. She raged at the people close to her and her family and even her children became afraid of her. If you just go online, you can google Byron Katie’s story and read about her awakening experience. Before she became a teacher of the work she was in real estate and she made quite a lot of money in real estate too. Mars rules real estate and Jupiter is aspecting Mars and the Moon here. Mars is in his own sign where he’s powerful and Jupiter is in the sign of exaltation as well as it being retrograde, which adds extra strengths to it. Jupiter/Mars combinations are wealth combinations and she and both of two of her husbands bought real estate, fixed it up and resold them. she made quite a lot of money doing that, however, being wealthy didn’t make her happy at all. When she got married the second time, she descended into a really deep dark depression. It was while she was in this depression that she had her awakening experience. I looked it up to see when that was and interestingly it was during her Ketu time period and Ketu is associated with awakening, spiritual development, and spiritual enlightenment.